Funeral service will be held at 2:00PM on Saturday April 7, 2018 at Wiebe Funeral Chapel in Morden. Viewing will be prior to the service. Interment to follow at Chapel Cemetery. 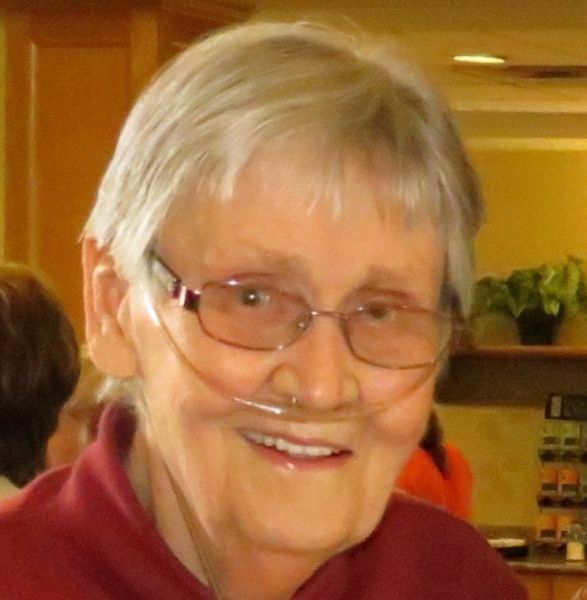 Donations may be made in Shirley's memory to Cancer Care Manitoba. With heavy hearts the family of Shirley Bugara wish to tell you of her peaceful passing on April 2, 2018 at Riverview Health Care Centre at the age of 89. Mom was born on Christmas Day, December 25, 1928 in Moose Jaw, SK. She was predeceased by her husband Steve in 1996. Keeping her memory close to our hearts are her children, Diane (Earl), Brian (Marj) and Barry (Darlene). Her 5 grandchildren and 13 great-grandchildren have fond memories of her. Married on June 30, 1948 Mom and Dad began their life adventure. They lived in Saskatchewan, B.C., and then in Manitoba residing in Thompson from 1960-1967, Swan River until 1978 and finally in Morden until 2010. Mom moved into Winnipeg in 2010, to be closer to her children, residing at Seine River Retirement Residence, Misercordia Health Centre and lastly Riverview Health Care Centre. Mom enjoyed fishing, curling and bowling for many years and looking after her family was high on her priority list. Their love for fishing and camping in their various trailers took them to many destinations. Mom learned how to cook Polish food and passed on that knowledge and her love of cooking to her children. She will forever be remembered as the “candy lady”, always a pocketful of mints to hand out to anyone that lent her a hand. Happy memories will be in our hearts forever. Many thanks to the staff of Cornish 6, Misercordia Health Centre and 3 West, Riverview Health Care Centre for the care and concern they showed mom. Viewing will be prior to the service. Funeral service will take place at 2:00 p.m. on Saturday April 7, 2018 at Wiebe Funeral Chapel 1050 Thornhill St. in Morden with interment to follow at Chapel Cemetery. Donations may be made in Shirley’s memory to Cancer Care Manitoba. May you be comforted knowing that your mom had a long and good life. Although we have not seen her for many years, she was often in our thoughts. So sorry to hear of your mom's passing. Sending our sincere sympathy to all and hoping your memories help you all through this difficult time.